Tax season can be harrowing, especially for those that find they owe the IRS money. If you can't tackle your tax bill in its entirety this tax season, don't give up. There are options, but they take strategic planning and a bit of elbow grease. Let's get started. Tax deadlines are quickly approaching, and it's important to have your tax return filed by Tuesday, April 17th -- even if you can't pay your tax debt. Your failure to file makes you vulnerable to a variety of penalties that are much steeper than penalties for failure to pay. Whether you can afford to put $50 towards paying off your taxes or $500, even the smallest amount counts when it comes the IRS. Their ultimate goal is to get all their money back - but they'll take what they can get when the alternative is no payment at all. Paying what you can gives the government agency confidence in your ability to settle your debt in the long run; this could prevent severe failure-to-pay penalties such as liens and levies. If you get an IRS notice in the mail following the tax deadline, don't stuff it into your catch-all drawer. Ignoring letters from the government can result in terrible consequences, including property seizure and wage garnishment. The moment you receive a notice, call the number listed to get in contact with an IRS representative. Your timeliness and willingness to work through your tax debt will win you points. 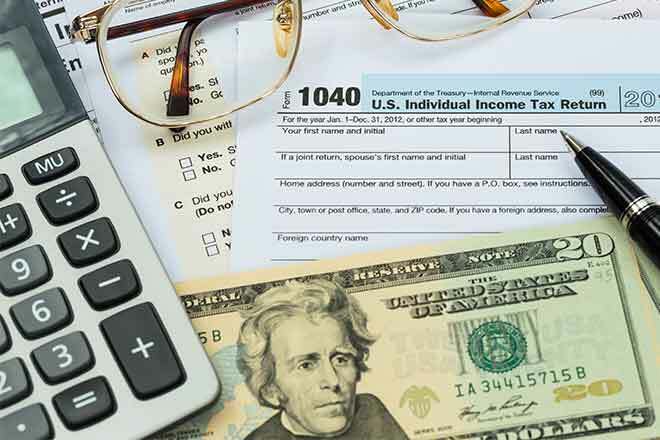 If paying off your tax debt would make it impossible for you to cover your living expenses, the IRS may grant you a payment delay due to financial hardship. However, it's important to note that you're still liable for interest and penalties that may accrue from overdue tax debt. If you know you can reasonably pay off your tax debt but don't have the money upfront, consider requesting an installment agreement. Simply complete Form 9465 or apply online; if the IRS approves your request, you'll be able to make monthly payments in several different ways: direct debit, payroll deductions, money orders, checks, credit card payments, and payments made through the Electronic Federal Tax Payment System. These agreements aren't always easy to come back, and most taxpayers opt to use tax resolution specialists. Consider getting IRS tax payment plan help from CommunityTax or a similar company in order to come up with the best plan possible for your individual circumstances. The IRS will rarely accept an offer in compromise, which is allows the taxpayer to pay a reduced amount of their tax bill after successful negotiation with the government agency. It's extremely difficult to qualify for an offer in compromise, and you won't be considered unless all of your current and past filing requirements are up to date. If you decide to declare bankruptcy, you will not be eligible to request an offer in compromise. Because these are so difficult to finagle, seek out the help and advice of an expert skilled in IRS requests. Yes, this is essentially trading one debt for the other, but in some cases this can be a good trade-off, especially if your credit card comes with low interest rates--at least lower than the interest that the IRS charges for late tax payments. For some, it can be a relief to owe money to a creditor rather than a government agency. If you have great credit, you might be able to qualify for a credit card with low interest rates and few penalties. However, this option is only a viable option if you know unequivocally that you'll be able to pay the credit card debt back on time--replacing one form of impossible-to-pay debt with another isn't a good long-term plan. If you're unable to come up with a lump sum of cold hard cash to handle your tax bill this April, make sure you keep these tips in mind to avoid long-standing financial consequence. Keep your head about you and put a plan in place--and put yourself on track for a better tax year in 2018.